I don't have much to add to the general praise of CJ's except to post a few pictures and a couple of comments. Once again, scrambled eggs are somewhat of a misstep at CJ's, but everything else was very good. I'll echo everyone else's comments about wishing for meatier chicken thighs instead of scrawny wings. The pecan syrup and the waffle itself are excellent. A bit more chicken meat would put this dish way over the top! This is the best version of shrimp and grits I have had outside of South Carolina! Wish I knew. I usually try to bring some back from FL. I will check Steve's suggestion. I also think Brookhaven, the multi-ethnic superstore in Darien might have it. Wow, by the way, Brookhaven now has a search function. The Brookhaven site links you to a Greek-American importer, Minos. Very interesting. I always wondered about the ownership of this very cool store, and why they had such an array or off-beat products. It's a retail outlet for the import biz. Check out the Craoatian soup. JeffB wrote: The Brookhaven site links you to a Greek-American importer, Minos. Very interesting. I always wondered about the ownership of this very cool store, and why they had such an array or off-beat products. It's a retail outlet for the import biz. Too true. Do you know anything more about the connection between Minos and Brookhaven? The latter certainly has the Balkan stuff covered, but also has quite a lot of Mexican and South Asian, which caters to the local customers. Nice shots, Steve! You seem to have mastered the new unit (or something like that ). Schatz MacArthur wrote: @JeffB: Any suggestions as to where I could find Crystal locally? We've had a tough time locating it lately and have run out. My better half is valiantly trying to make do with my favorite (Cholula), tobasco and a variety of other hot sauces, but he's sorely missing his Crystal. Cyrstal has been my favorite for a long time. I know that they were completely wiped out by Katrina. Production is limted and based on the Web-site they are only making the regular Hot sauce at this point (I am quite partial to the Garlic Hot Sauce). You can buy it by the bottle or the Galloin on their site. A galloin runs about $10.00. After reading this thread yesterday, I specifically looked at the hot sauce collection at my new fave, Strack & Van Til (located on Elston, near the Target at Logan Blvd). Saw a bunch of bottles of Crystal brand hot sauce, and wanted to share with the rest in this thread. 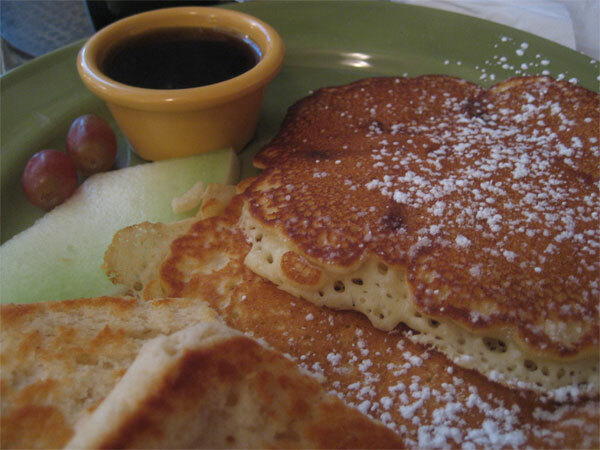 We had breakfast this morning at CJ's and there are now three more enthusiastic diners who are sure to be back soon. Based on the recommendations here, we had the shrimp/cheesy grits with a side of 2 eggs over easy, chicken/waffles, and the breakfast casserole, along with a side of B-n-G for all to share. The portion of fried chicken wingettes was quite generous, crispy, and piping hot - dipped in a bit of the Tapatio hot sauce, no one could dispute that fried chicken is delicious in the morning. My shrimp/grits also included some crispy bacon pieces - those bites were particularly tasty. The casserole was also good, but needed a pinch more salt to bring out the flavor of the various components. The biscuits were outstanding. And the gravy was sausagey, flavorful, and completely mopped up by the time the plates were cleared. I was disheartened to see so few customers , especially since it is clear that the staff is committed to providing a welcoming atmosphere and turning out an excellent and interesting menu. We'll definitely be back for dinner. The thought of bringing our own cold beers and having the fried catfish, along with a side of the mac-n-cheese for Thursday's spoken word night is definitely something to look forward to. Thanks again justjoan for this find. Although only 10 mins from us, we would never have found this spot without your post. We are most appreciative! I've made two trips to C.J. 's in the last few days, and certainly enjoyed it both times; despite the rough neigborhood it's in, it's nice enough and the folks are friendly enough that I could easily see it being a place I recommend off the beaten path from now on, much like Depot Diner or Sol de Mexico. Thursday David Hammond and I went there for lunch. 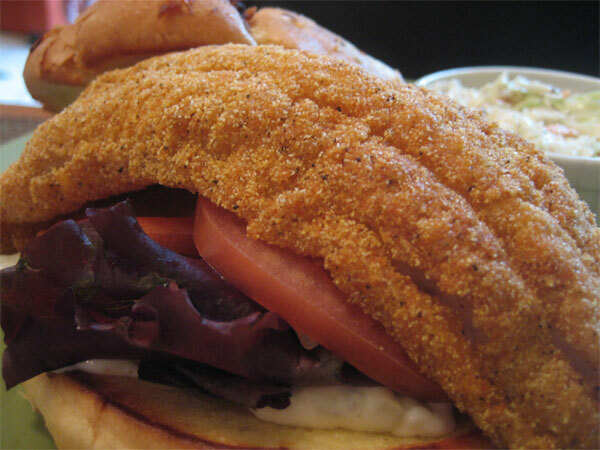 We started with not-bad-at-all crab cakes, he had a very likable catfish sandwich, and I had also-not-bad-at-all jambalaya. If you get the sense my enthusiasm is a bit tempered, well, nothing rocked my socks off, but it was all good enough that I would go back... and did. Because I also saw the brunch menu while I was there, and I soon developed the strong suspicion that this good lunch place might be a great breakfast place. I'm sure there are people in Kansas who grew up eating grits but generally speaking it was too far north and too Germano-Scandinavian for that dish. So I'm not a grits person. But put enough cream and cheese and hot sauce in anything and it's good. And C.J. 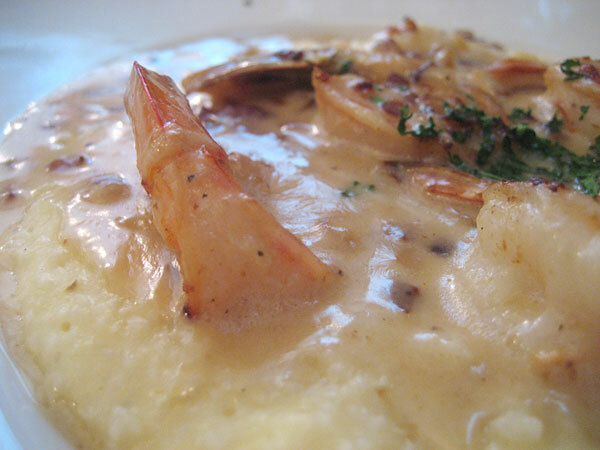 's shrimp and grits are really, really good, the must-have dish there. There's probably still time today, in fact. Move! Took three generations to CJ's for a late breakfast this morning. A good experience overall. An initial disappointment was that only the first two items on the list of breakfast specials were available. I had been looking forward to shrimp and grits. I ordered a tomato and cheese omelet for Junior and it met with his full approval. Not all of the cheese was melted, but otherwise I enjoyed sharing this, especially with the accompanying biscuit. Junior's grandma had the sausage casserole, and I was happy to help out with that as well. I was worried it would be too heavy, but it had a nice mix of ingredients. I wish the server had asked us whether we wanted refills on everything instead of just delivering them. That was a lot of wasted beverages. The decor here really enhances the experience; I just hope CJ can hold his own in this difficult location. Stopped by Wednesday for lunch, but could not have my jonesed-for shrimp and grits-it is now strictly a Saturday/Sunday brunch (which seems to be about an all day) thing. The rest of the menu and specials (chicken noodle soup/chicken sandwich) seemed decidedly not low country or even southern-no greens anywhere to be seen. I asked for a recommendation, she said pulled pork, I said fine ... slaw, not fries, iced tea-no sugar. The pork was excellent-bountiful, big torn strips, excellent smoke ring, good smokiness, adequate Mr. Brown-clearly smoked by someone who knew their way around a smoker. Very pleasant meal-I left a happy camper. The double Lavazza expresso to go, while met with quizzical glances, was a good ending. MLS wrote: Stopped by Wednesday for lunch, but could not have my jonesed-for shrimp and grits-it is now strictly a Saturday/Sunday brunch (which seems to be about an all day) thing. As far as I know, the shrimp and grits has always been a weekend only thing. Last time I was in there, I had a bowl of seafood gumbo which was surprisingly good! Nice chunks of andoullie and beau coup seafood in a nice spicy medium roux-based gumbo served with a scoop of white rice, just as it should be. I am a fan of the shrimp and grits, too. At one point the waitress did advise they always had the ingredients on hand if I wanted it on weekdays. While it was a very generous offer, I guess it is not really available in practice. I'm simply glad there are the weekends to get it! This place looks great - however, is the neighbourhood safe for a clueless tourist and her son? How would I get here from the loop? Take Chicago Avenue going west. It is a corner location a few blocks north on the west side of the street. Stick to the main streets and you will be fine. I just realized from another post, you will want CTA public transporation instructions. Somebody will have to guide you on those. Cathy2 wrote: I just realized from another post, you will want CTA public transporation instructions. Somebody will have to guide you on those. I suggest you use the CTA Trip Planner. "It would be a pretty long trip from the Loop via public transit. I'm not really sure what else is of interest around there that would make the trip more worthwhile, but then, I've also never eaten at CJ's, so I can't say that it isn't worth the trip..."
Imagine a trip to HOBO and after that, a hot dog at Jimmys could make for a different kind of day. I like C.J. 's a lot, in fact I just got back from there, but I'd have a hard time saying it's so good you should use your finite time in Chicago to shlep out there and back by bus, and no, there really isn't anything else around there to help justify the trip. d it. Again I was very happy to stop by CJ's yesterday for a business lunch. I had called earlier during the morning to see if I might to able to have shrimp and grits. CJ answered the phone and said "No problem." Matched with iced tea unsweetened, I was in low country heaven-what a terrific dish. My dining partner had the pulled pork sandwich with sweet tea-he had 4 glasses, I think-ah, free refills. He was mopping the plate with the last vestiges of his roll, so I guess he liked it. Two types of Tabasco, Tapatio, but no Texas Pete this time. The double espresso Lavassa to go, very well made, raised less of an eyebrow this time. Great way to end the meal and ease the drive back. Unfortunately only two tables (4 people) were taken noon to 1:15. I hope this ambitious quality place gets better support at other times! I went to CJ's over the weekend with no expectations, and came away somewhat disappointed. The service was really slow and disorganized. The food all came out at different times. I had the rib eye sandwich and it was just two large cuts of meat served open face on a Butternut White Bread Bun. It was seriously difficult to eat and just ended up cutting it up like a steak, there was no way to eat it like a sandwich at all. I had some of my friends Sausage sandwich and they used Parkay margerine to fry the eggs. Which made the whole sandwich strongly taste synthetic. I tasted some pulled pork meat from my friends sandwich and it was also just ok. 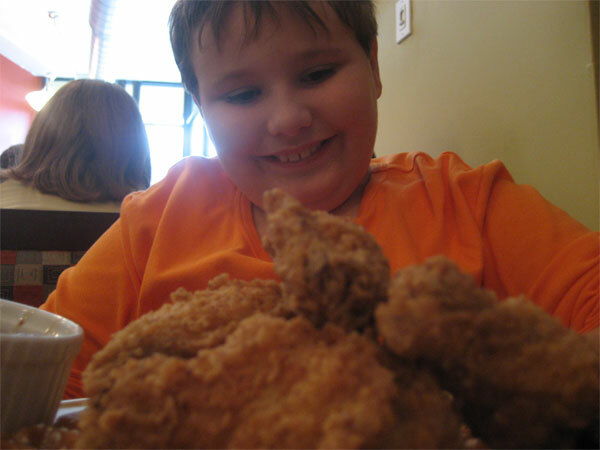 If i do make it out there again, i will go with my gut instict and do the chicken and waffles. How can one possibly go wrong with this combo. 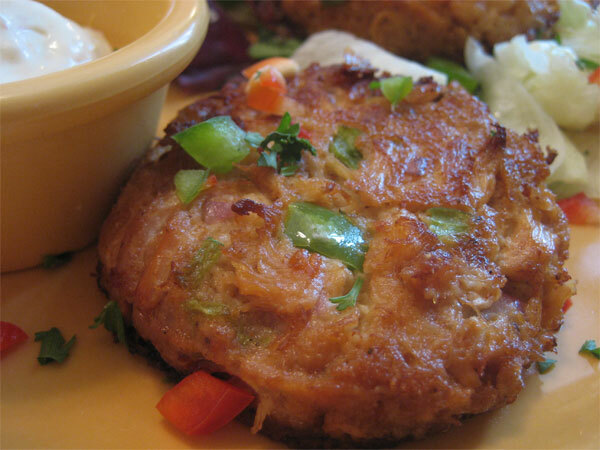 CJ's really shines on their Southern inspired dishes. Try the gumbo, if it's on the menu the day you go, or the shrimp and grits. 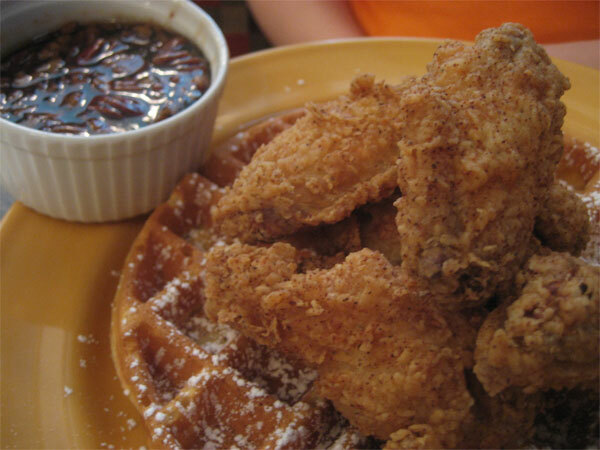 Those dishes along with the chicken and waffles won't let you down. We went to CJ's yesterday for brunch and agree with all that it is quite tasty, and the service was great - friendly and accommodating! I had the chicken & waffles - I was going to go for shrimp and grits, but have never tried C&W so gave it a go. Very tasty, crispy wings and fluffy waffle. The syrup was studded with crunchy nuts. My crackberry picture can't compete with the cameras of the pros, so I won't even bother. GF had the huevos mexicanos and devoured them, and our friend had the sausage bagel sammich...he was also a happy camper. 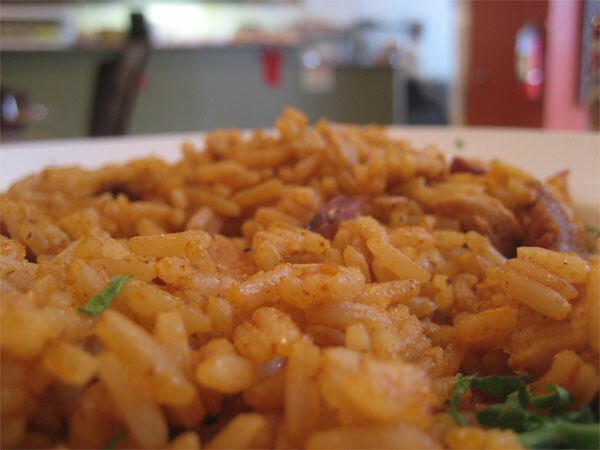 Great stuff, and we'll be back to try other dishes! 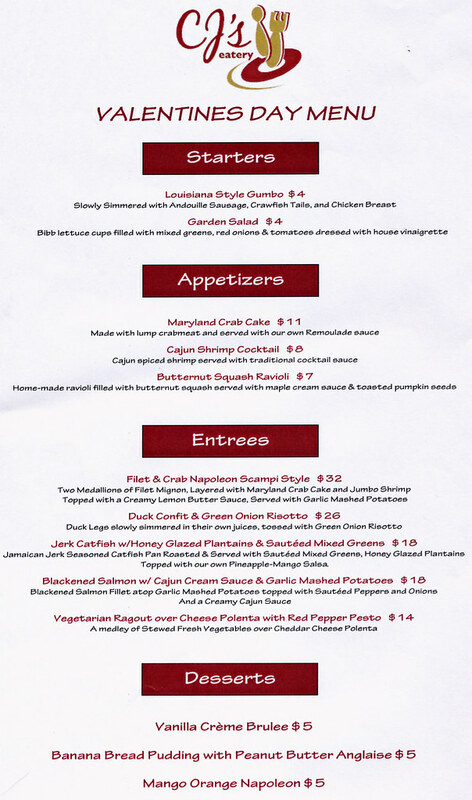 Just had brunch at CJ's and they are introducing Soul Food Sundays starting today from 2-8pm. As long as people are posting menus, we popped into C.J. 's for Sunday breakfast (absurdly underpopulated for how good it is, some of those folks eating mediocrely at, say, Orange should come out here sometime and have a shrimp-and-grits-gasm) and they gave us a copy of the menu for Valentine's Day. I'm an inveterate stay-at-homer on Valentine's Day and New Year's Eve, but this looks pretty tempting; anybody willing to be a little adventurous and try a place that's more casual in feel (and take possibly overstretched service in stride) could have a pretty nice meal that day and support an undersung gem. I'm chiming in here to say: If you haven't been to CJ's, please give it a try. And if you've been before and liked it, head on back. I stopped in for the first time last Saturday afternoon for a late lunch and was delighted by the space, the food, and the man himself. CJ cheerfully whomped up a fresh batch of grits for my dining companion, who'd been looking forward to the shrimp & grits without realizing that it's only on the breakfast menu. No problem. I snagged several forkfuls for myself and thought the dish was gorgeous -- light, fluffy, just the right amount of cheese, nice plump shrimp with some snap to them. The eggs on the side were perfectly over-easy and the accompanying biscuit deserves all the praise it's gotten here. I had the pulled-pork sandwich special and loved it: moist, flavorful, tender meat and really great sauce that had a nice balance of vinegar/tomato/tobaccoishness. The included fries were standard but it didn't matter: I focused on the sandwich and used an occasional fry as a delivery mechanism for additional delicious sauce. Times are tough and CJ needs some love -- he's down to weekend hours only (Saturday, 8 a.m.-4 p.m. and Sunday, 8 a.m.-8 p.m.). Go for brunch this weekend. Or for Sunday dinner, since CJ also does a Sunday-night soul-food supper (meat + 2 sides + cake) which I'm planning to try this weekend or next. This place is the very definition of a GNR, if you ask me. watson wrote: This place is the very definition of a GNR, if you ask me. CJ's would be an "it" restaurant if they were in a hipster neighborhood - as their food is far and away superior to any other so called southern restaurants. I have yet to have a meal here that is anything but above average. Okay, I went. Since I was already at Chicago and Ashland for the morning, I could rationalize driving over to CJ's. I'm glad I did. My ordering power was low as I was by myself, so shrimp and grits it was. The praise is completely justified. I resorted to using my knife to scrape out the bowl because I didn't have a spoon. (That seemed more delicate than licking the bowl out. ) The biscuit was marvelous -- I suspect Jim in Logan Square would be a fan. I thought the space was great -- colorful and warm. Since Mr. X was home with an empty refrigerator, I got a pulled pork sandwich to go. I was able to sneak a few bites of pork and thought the meat and sauce were delicious. I hope to visit CJ's again soon. It's not terribly convenient to Rogers Park, but worth it.